After seeing the viral photo, Nigerians have reacted to the president using a “simple” type phone in his car while going out recetly for a function. 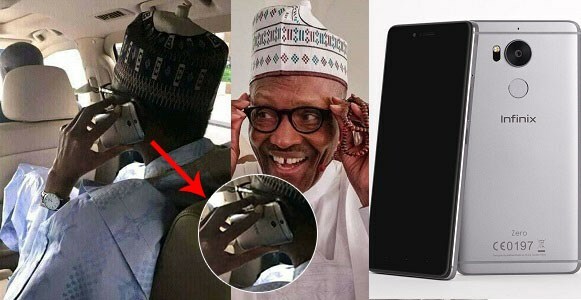 The photo, which has since gone viral was shared online by his daughter, Hanan Muhammadu Buhari – in the trending photo, the president is seen with an HTC phone; a gadget used by most “average” Nigerians. As social media users react to this, some laud the president for his simplicity while others feel it’s a propaganda picture. Next article“Stop telling me to fix BBNaija, i don’t have such Power, if your children are watching it, then it’s your fault, not mine” – Presidential Aide, Lauretta Onochie tells Nigerians.